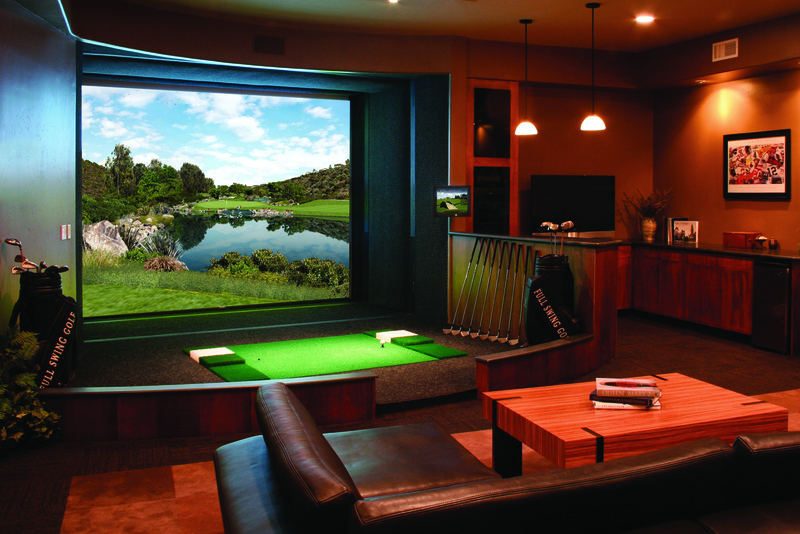 Full Swing is a worldwide leader in cutting edge indoor golf simulation technology. Full Swing products are used for game improvement for golfers of all skill levels, as well as a form of entertainment, with a unique package of non-traditional golf games. Tiger Woods, Jordan Spieth, Jason Day, Jim Furyk and Patrick Reed are among the many professional golfers who use and endorse the products. Full Swing’s patented dual tracking technology delivers superior ball tracking data and makes Full Swing the only simulator that actually measures ball flight indoors. The Full Swing S4 simulator received the Editor’s Choice “Best Golf Simulator” by Golf Digest the first year the product was released to the market. With over 30 years of experience, Full Swing provides the most accurate and realistic golf experience for practice, instruction or entertainment.